Make sure your Mac is connected to the Internet. Ask your system administrator if your Mac has any active network connection behind Proxy. 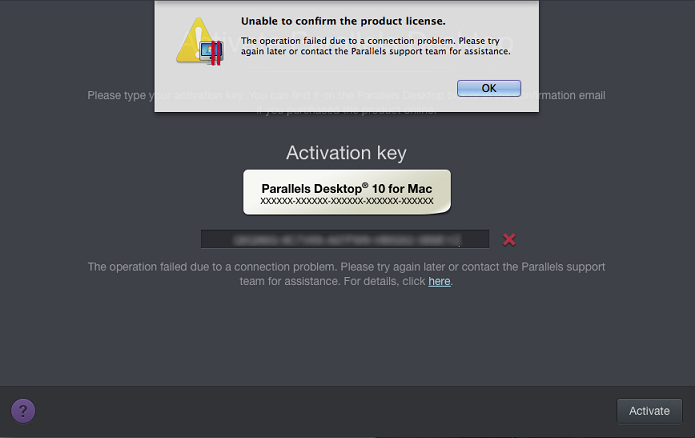 Disable Proxy and try to activate Parallels Desktop again. If you have any Firewall software installed on your Mac like Sophos, LittleSnitch or built-in OS X Firewall, create an exception for Parallels Desktop application so all outgoing connections are allowed.